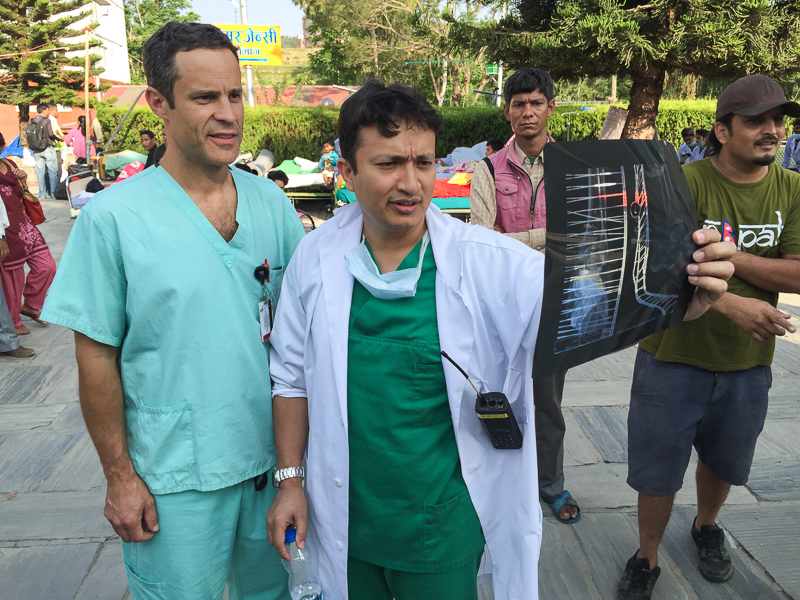 Part 6 of our May, 2015 Loma Linda University Health Orthopedic Team visit to Nepal. A new earthquake of 7.3-magnitude hit devastated Nepal on May 12, just 17 days after large parts of Nepal were leveled and more than 8,000 had died. 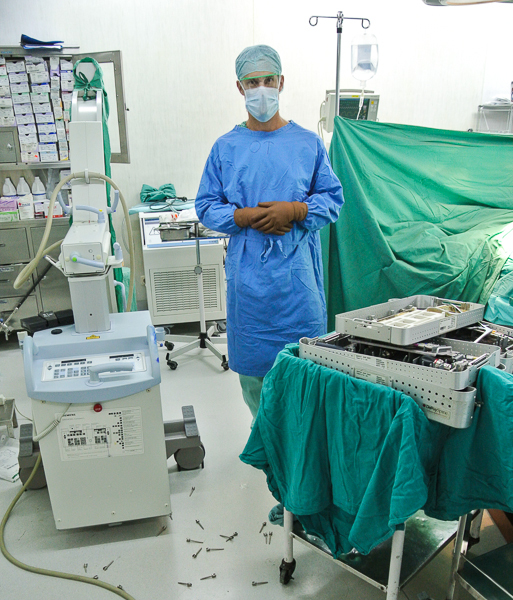 The following post was written by Dr Scott Nelson who was operating at Dhulikhel Hospital when the second biggest Nepali quake this year occurred. Dr Nelson’s eyewitness account was also posted on CNN’s iReport. (This and subsequent updates will be intermittent and delayed due to marginal internet access at SMH). Earthquake victims crowded the entrances, rooms, and hallways at Scheer Memorial Adventist Hospital and Dhulikhel/Kathmandu University Hospital east of Kathmandu. Operating room schedules overflowed with orthopaedic surgery cases as doctors and nurses have been working tirelessly to treat the seemingly endless stream of injuries since the April 25 earthquake. As the task at hand was being steadily accomplished and time was found to operate on some of the less emergent cases the country was again hit with a powerful tremor centered approximately 35 miles to the northeast of these hospitals. 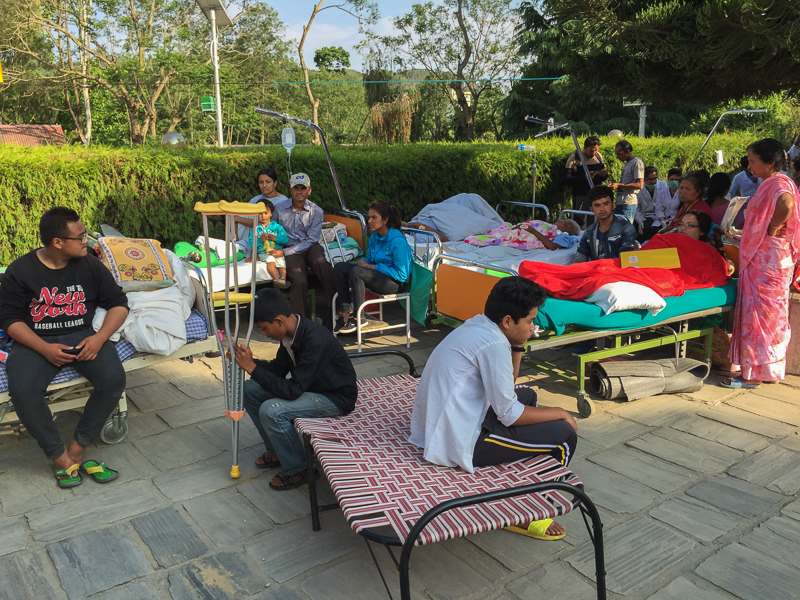 Patients already suffering mentally and physically from the recent quake were terrified, some were able to get out of the hospital buildings where they felt safe and others that were bedridden were taken out by family members and healthcare workers. Two women went into labor minutes after the quake and one patient who was being weaned from the ventilator was able to be immediately extubated and then was moved out of the building. 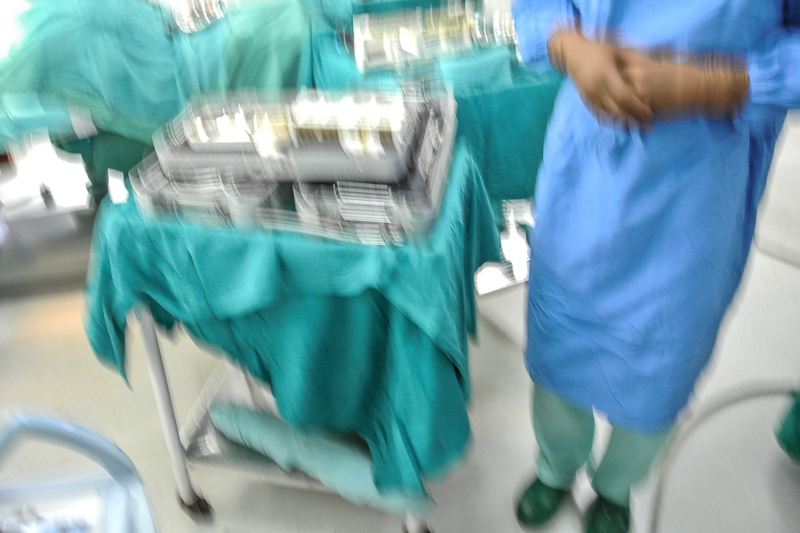 I was performing a spine surgery on a victim that had suffered two vertebral body fractures from the first earthquake when the room began to shake. I paused as I was placing a screw into the spinal column thinking that this was just another aftershock and would soon pass. When the shaking strengthened I had little choice but to brace myself and finish inserting the screw. Half of our sterile pedicle screws fell on the floor, but we were able to finish the case in record time with the remaining implants. My Nepali assistants were stoic and stood strong throughout the operation during which four more tremors occurred. Shortly after the shaking stopped someone offered to relieve my nurse but she said she would not abandon the patient and her surgeon. A triage center was once again set up outside of the hospital and patients began to flood in. Most were injuries from people who had jumped out of buildings or fallen in efforts to escape danger. By nightfall some patients had been moved back into buildings however others preferred to stay outside under tents and tarps.